We've had quite the year of record-breaking numbers of cards! Everyone has done an AMAZING job. And we want to give you a rest. Yes, another card by our Hero Blog hero! How fantastic is that little star?? Your assignment (should you choose to accept! ): Find cards. How? Check around in your town for people and places that might have cards. Done. Sitting in a box ready to be used by our heroes. Or maybe not OWH-ready (need stamped, or card fronts needing card bases, etc) but close-to-ready. We know there are plenty of cards out there that need a note written in them....so let's hold a scavenger hunt for them! 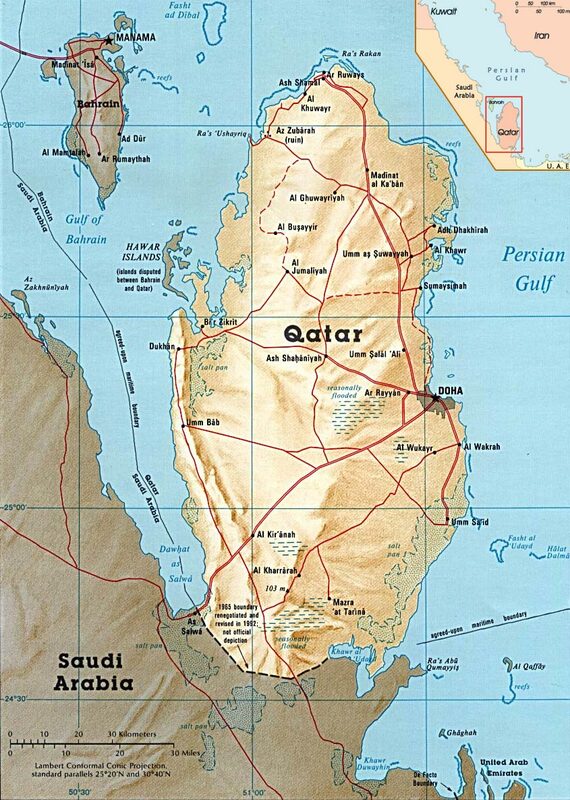 Here's a partial list of places to check out - add your own suggestions in comments on this blog post! Stamp store - they almost always have samples in the back from past seasons/lines of stamps. Local stamp demos - Stampin Up!, CTMH, or others....look in your phone book for "rubberstamping" and see what you find! Lots of these company reps can't use or post cards using retired stamp sets, and they're often ready to unload their cardfronts or cards to someone who needs them. Stamp manufacturers - do you know someone who works at a manufacturing company? Email and ask if they've got samples! Design teams - members of DTs often have a good stash of cards lying around too - send them the url and see if they're interested in getting rid of some of their unused cards. Stores that sell handmade cards - many sell them on consignment, but some could have cards in the back that haven't sold for one reason or another - and they'd love shelf space back. OWH Coloring pages - the whole collection! It's about time we pulled together all the OWH coloring pages for you! 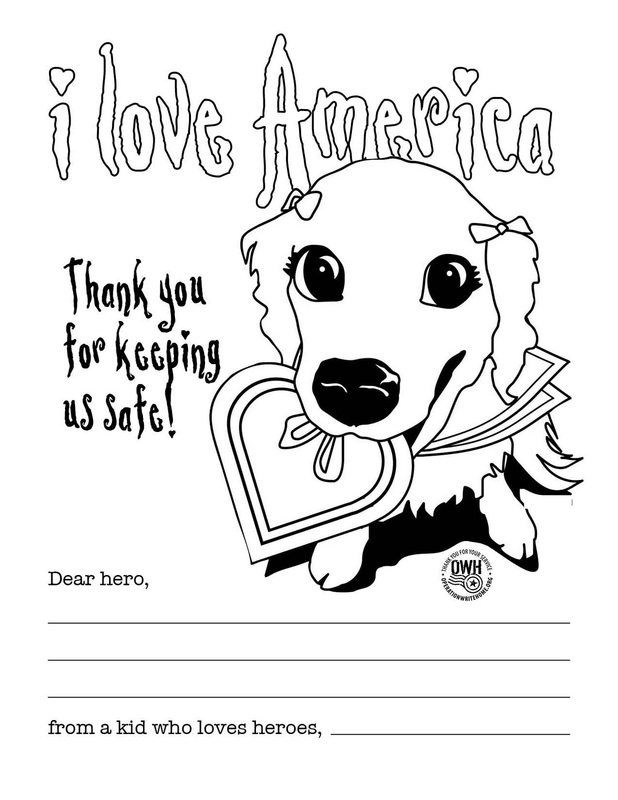 We launched OWH's first coloring pages a while ago, and kids across America have been enjoying them - and they're being loved all over our deployed locations too. We launched some Christmas holiday coloring pages - please use these in September/October/November only. 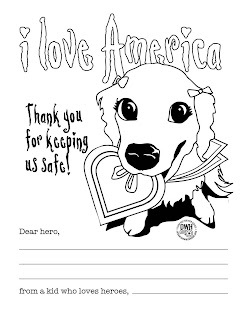 And today, we're giving you our brand new I love America coloring pages! These use our new Ciara images (see the S&S post here for more details!) - but they're great for "anytime" hero mail too. Download the pdf, or click on an image below and right-click to download the larger image. Happy coloring! And PS - we're adding InLinkz to this post....take a picture of your kids' finished works using any of our coloring pages! This week 4,304 cards were mailed out - at a cost of $165.60! 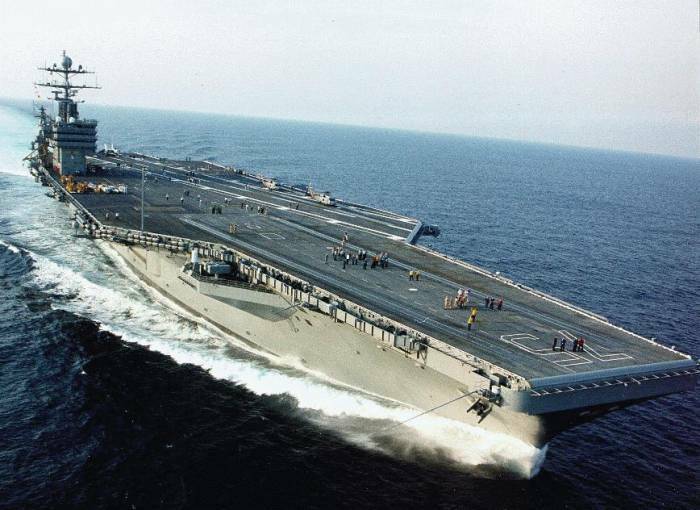 12 cards to our Polish General, courtesy of the U.S. Navy! Christmas cards are done now! 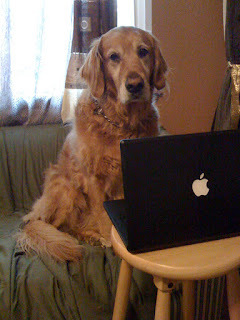 Watch for our Dec 1 enews for 2011 deadlines! We love it that this holiday always falls on our day of giving thanks for all of our fantastic cardmakers and donors....you are all so wonderful, and we could not serve our heroes so well without your dedication and generosity! Thank you! One thank-you card isn't enough to share our gratitude...so here are two! This week 5,076 cards were mailed out - at a cost of $187.50. A big drop, as Christmas cards are finished! This week, these were mostly boxes with some winter-themed cards in each, so that if they arrive quickly, these units can use them for Christmas.....many thanks to those who made them so we could have these intermediate boxes ready to go! We'll be announcing the 2011 deadlines shortly! 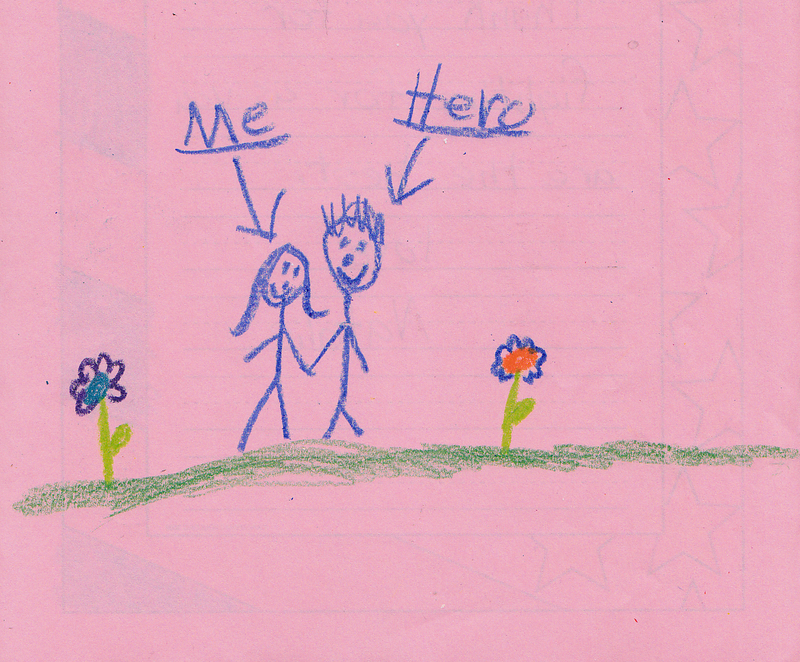 An AnyHero drawing from Natalie! We are celebrating that we've already gotten 648 of the needed 4,000 valentines! In just the first week of them!! Great start to the challenge of succeeding at our Special Mission! Our total received this week was 7,253 cards, including LOTS of AnyHero mail. And we're grateful for each and every card, letter, and dollar donated!! Since there are so many, I hope that will help me track who I've heard from and who I haven't! I sorted them alphabetically, so that should make it easier to find your names, and added blog names or partial email addies to narrow it down to which of you with that first name. I'll try to find those who don't reply in the next day or two. Thanks! 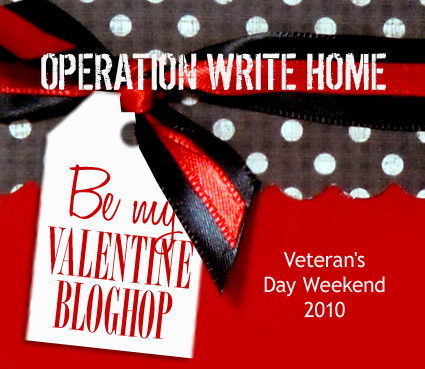 Be My Valentine BLOGHOP! Last stop! Have you been having a good time today? We sure hope so! This is the last stop on the hop, unless you started mid-stream...you'll want to go to the beginning and pick up any you missed! 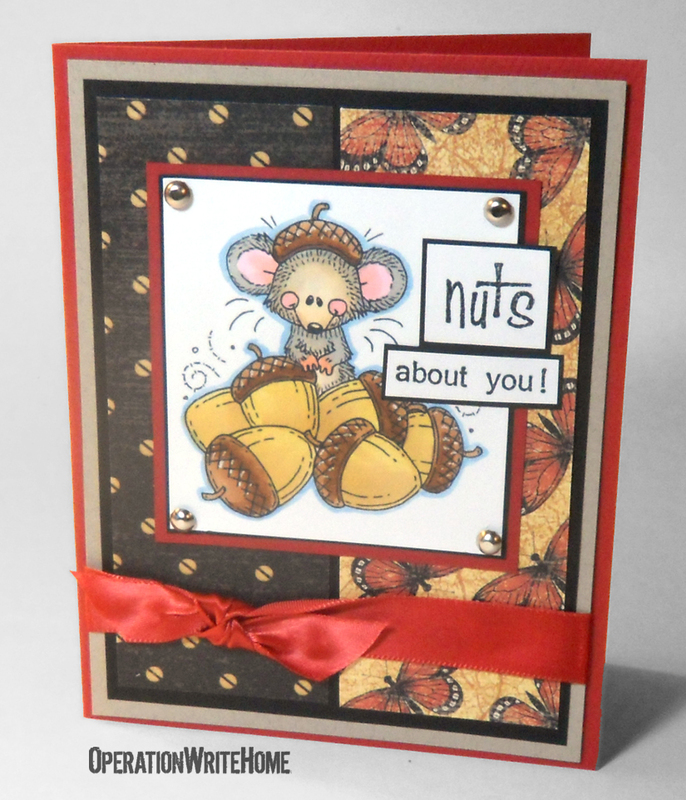 We've got a little valentine for you, made with a new release from MelJen Designs - isn't this little guy the sweetest! 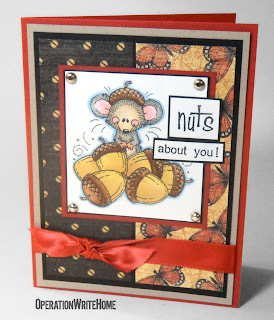 The card design here is from the Stars and Stamps sketch #42 for this past week - do you use the sketches posted there each Sunday? They're a great source of inspiration - especially going back on a Saturday to see how so many different folks used the sketch all week long. We've got a special treat....36 little prizes! The Paper Zone generously donated all these packets of goodies, and we'll be picking 36 winners from comments left on this blog post. Winners will be selected from comments left about what you found inspiring during the hop. If you're not a blogger, leave your email - type out your email address like this: janestamper at aol dot com - that way we can reach you to get your address, and spammer robots won't find you. Comment by midnight PSTon Sunday November 14th, winners will be emailed later in the week. All stamp sets are clear, unmounted. The Studio G are Xmas and Halloween with a few St Patricks. This week, since our Christmas deadline is behind us, saw our shippers breathing a huge sigh as incoming mail slowed to a comparative trickle - "only" 7,408 cards....can you believe that that number can actually sound "small" after months of 20,000+ a week?? The packing has still been heavily underway, but at least the stamping and tucking of the cards-with-a-deadline is done! 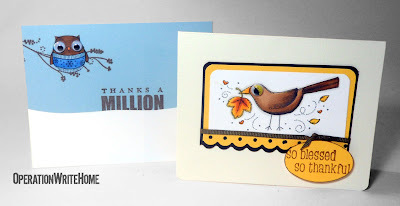 We'll be gearing back up shortly, and hope that you're all ready to step back up to the cardmaking plate again. 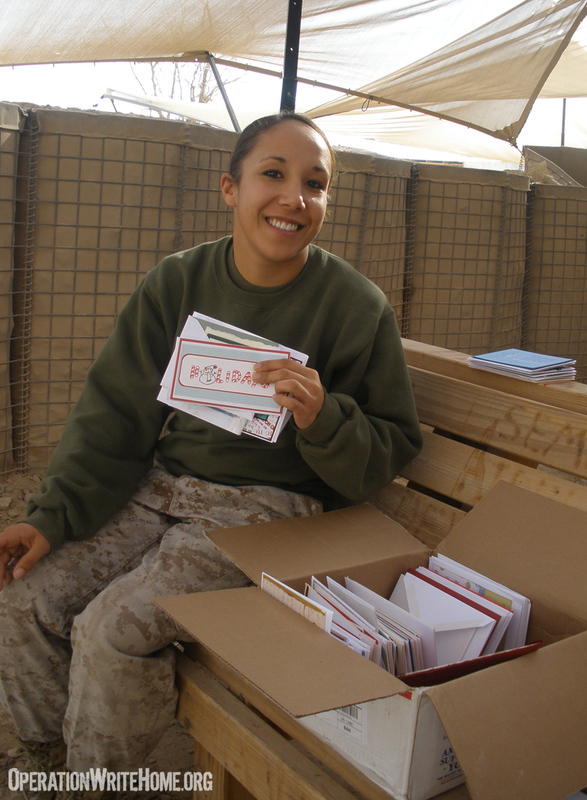 All those heroes who received Christmas cards will now be in line for boxes of Valentines! We won't need as many Valentines as we did holiday cards, since we send a much smaller percentage of Valentines in each box; however those boxes will need to be filled with other themes too. So your crafty work will be much in demand! The special mission announced yesterday should help - have you seen that post? Help us get the word out! Since it's Veteran's Day....here's something really nice that showed up in email. We are so thankful for all our veterans, and there are people worldwide also grateful to American heroes! This statue currently stands outside the Iraqi palace. 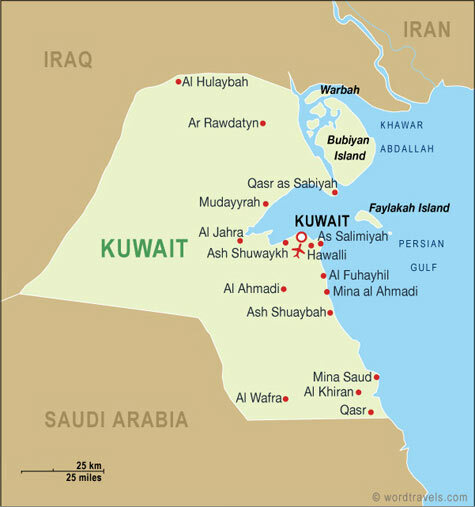 The statue was created by an Iraqi artist named Kalat, who for years was forced by Saddam Hussein to make the many hundreds of bronze busts of Saddam that dotted Baghdad. 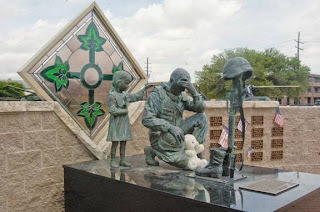 Kalat was so grateful for the Americans liberation of his country, that he melted 3 of the heads of the fallen Saddam and made the statue as a memorial to the American soldiers and their fallen warriors. Kalat worked on this memorial night and day for several months. To the left of the kneeling soldier is a small Iraqi girl giving the soldier comfort as he mourns the loss of his comrade in arms. This statue will eventually be shipped home and put in the memorial museum in Fort Hood, Texas. Thank you so much to this week's donors.....your cards, Anyhero mail, and donations are such a blessing to our heroes and their families; you are all making a huge difference! A great piece highlighting those who served - and those who serve our veterans! God bless them all. Archway Cookies loves heroes like we do. And they want to partner with OWH to get some sweets out to our service members for the holidays....as well as generate LOTS of valentines for them to write home on! Make your best valentines. We need 4,000 valentines for this mission, but we have lots of you to do it - so take your time, use quality supplies, and pour tons of love into them! Remember that this card will carry home tons of love from a hero so far from home, so it needs to be a beautiful, sturdy, and loving creation! Be sure to stamp/label the back with "Operation Write Home", use no glitter, and make them A2 sized cards. More guidelines are here. Send your valentines to one of our shippers by Dec 1st. (You may also send other card themes!) Be sure to include a packing slip, and write ARCHWAY on it! 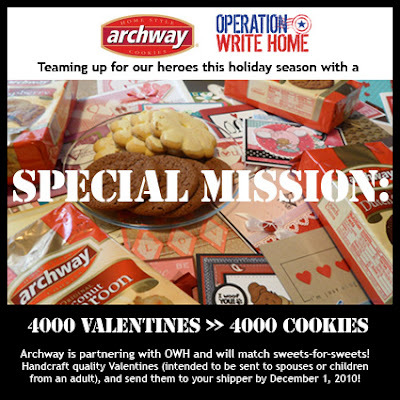 Archway Cookies matches us sweets for sweets - they'll send cases and cases to our OWH contacts to enjoy for the Christmas holidays! We need to act fast to get all this done and shipped to our heroes in time for Christmas celebrations in Iraq and Afghanistan and other locations, so join in and help us achieve our special mission!! Leave some love for Archway in comments on this post...let them know what you think of their generous gift to our heroes!! We are just about on the final boxes of Christmas cards - and we're happy to say we'll have met every request for Christmas cards this year! We do have some 'winter' boxes in the wings for requests that show up in the next 2 weeks or so; it'll be dicey getting them there and home in time, but if the postal system cooperates, those can be used for the holidays. See the page for official rules - Vote EVERY day! It's really really important! Ask your friends, family, facebook friends, twitter followers, message board friends....don't bug them so much that they don't listen to you, but motivate them: Post pictures of our heroes to your facebook wall. Tell them stories. Link them to your favorite letters on the Hero Blog. Share! With the bloghop on the way, here's some tips for new bloggers for creating your post, linking, and setting the date for the post to "publish" later on the date of the hop. Thanks to Yolanda for sharing this! Type up your blog entry. Select the words you want to use as links. Ex. ..."find it at OWH". Now select the word to make a link, ie OWH. You will see a tool bar just above your post entry box. Select "link." Paste or type the URL of the site you are linking to. 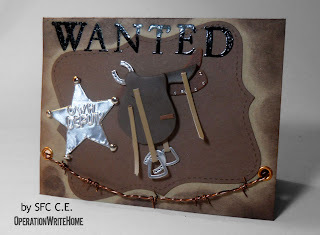 Use the link to a specific post like a challenge - http://www.owhstarsandstamps.org/2010/11/midweek-throwdown-challenge.html - or to the "top" of a blog like http://www.owhstarsandstamps.org. You can get the long url by clicking on the blog post title, usually. The short url will link to the newest post on that blog. When it gets closer OWH will let you know who to link to after you. So you will put in her name and then link to her blog address (using her short url first, and editing to add the long one after the bloghop starts and her post goes live). To make life easy, go ahead and make your card. Write up your post and include the image within that day's post or instruct your readers to look down below where your pictures are. Then set it to publish at a scheduled time. It took me forever to figure this one out but it is fabulous! At the bottom of your post box choose "post options." Down on the right you will see "post date and time." Add the date in this format--11/3/10. Choose "publish post." Now it will show up in your drafts as "scheduled." And it will go live at the proper time. Jump up and down yelling, "I did it! I did it!" That trick is the biggest time saver EVER! This week our shippers received, processed, stamped, tucked, and triaged 42,510 cards! WOW! Our cardmakers are crazyawesome!!! The AnyHero mail has also been pouring in and we are so glad to be able to include more in each of the packets in our boxes; that is such encouragement to our heroes to read! As we've hit the deadline for holiday cards, we did discover a fairly common thread among the packages we've received in this last week or two, so thought we'd address it here. cards made with really cheap cardstock (the stuff that's barely as heavy as patterned paper or construction paper); please don't purchase the cheap stuff or to double up computer paper just to try to get a lot of cards made. You may only be succeeding in creating hospital patients. cards made with children's craft supplies (foamies or stickers all over them, handwritten sentiments). Please leave the kids supplies to the kids AnyHero cards. cards made with gluesticks - these do not stick well, so we're gluing lots of cards back together. Save us the labor and invest in some better adhesives. cards made with giftwrapping paper - they are falling apart. Please use papers made for crafting, as wrapping paper has coatings that make your adhesives let go by the time it gets to us. These will not last through shipping to us, overseas, and back home. blank cards made with sentiments appropriate for AnyHero cards ("thank you for your service" or the Christmas poem to a soldier) - with no note inside. Our shippers do not need more blank AnyHero cards; we are overrun with them. Please feel free to write notes in poorer quality cards you've been given by your friends, rather than writing us a note telling us we can make unacceptable ones into AnyHero notes. We'd prefer that you write the note yourself...we don't have extra time! Some comments we've been receiving lately have been that our heroes "are surely glad for anything we send" - and in talking with many of them, that is partially true. They're delighted at your efforts. But if it's a card that is falling apart, cut crooked, handwritten, or covered in stickers, it just doesn't look like there's much love poured into it; and it's getting left in the bottom of the box. Take your time, enjoy your papercrafting, and let's give our heroes our best work. They deserve the extra effort! My friend, and OWH supporter, Alison Lighthall, RN, MSN, has been given a shot at a $50,000 grant from the Pepsi Refresh Project. This money would pay all expenses (including a manual given to all participants) for medical and psychiatric clinician training to be provided to at least 9 hospitals on how to best care for military veterans, especially the young ones who have had multiple deployments. Clinicians have zero training on this specific patient population, so not only do they sometimes say things inadvertently that either hurt, anger or alienate the veteran, they often misdiagnose them. Having civilian clinicians trained up in Combat PTSD and Combat Traumatic Brain Injury is vitally important for the wellbeing, and future, of our veterans. Alison is fully prepared to provide that training. All she needs is the grant money to do it. And like our own competition, she can only get that grant money by getting enough votes to score in the top 10 in the $50,000 category. Also, if you want to, please use your other remaining 9 votes to support projects in the $5,000, $25,000 and $250,000 categories ONLY, since they are not Alison's competitors. And like our competition, you can vote every day! A vote for this project is a vote for our Veterans. THANK YOU to everyone who entered the Joanns contest - we made it in the top three! Now for the prize, we're up against two VERY wonderful orgs - the American Cancer Society and Project Linus. Now, while we LOVE other folks who do such great work....we need to win this one for our heroes! OWH is the "little guy" in the bunch, so we need your help in taking this on. Please vote early, vote often (refresh and vote again! ), and get your friends and family to vote! I'll be sending you a weekly reminder/update as the voting wears on - especially if we begin to fall behind! I recommend you first bookmark the link below on all your computers....when you sit down to check email or post to your blog, vote a couple times! Post a reminder to your facebook, blog, or twitter account every couple days for your friends and family; don't bother people so often that they don't pay attention to you. But INSPIRE them. Post a photo of a hero from our Photobucket album. Republish a favorite hero letter. Tell them why YOU support our heroes - and invite them to do the same with the click of a mouse! PS Tomorrow is also election day - don't forget to do your duty as a citizen and vote in your local elections! Our nation needs you! 34,859 cards were mailed out...at a cost of $1,300.00! Now, as a caveat - last year the first week of November was HUGE for us, and this year the last week of October was huge; I don't quite know if we've just moved the bulk of shipping a week earlier, which would account for the crazy difference. But - if that's really what did happen, then THANK YOU for getting the cards to us early enough to ship a week sooner! 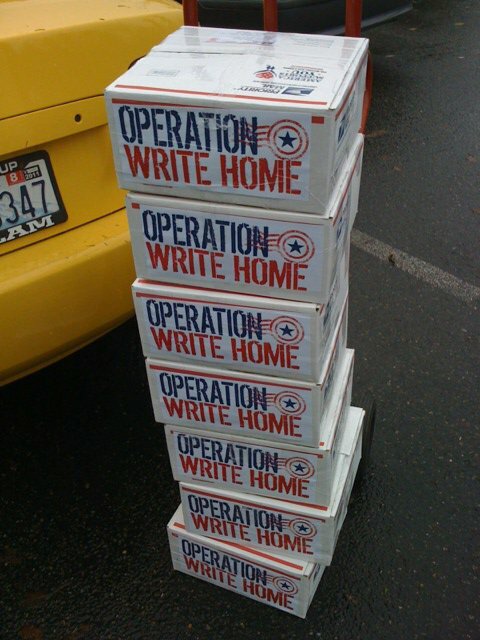 That gives our heroes that much longer to write their letters and mail them home! We do have many thousands of cards yet to ship, so stay tuned to see what the full season's statistics end up totalling. Number of hero contacts: 1002!